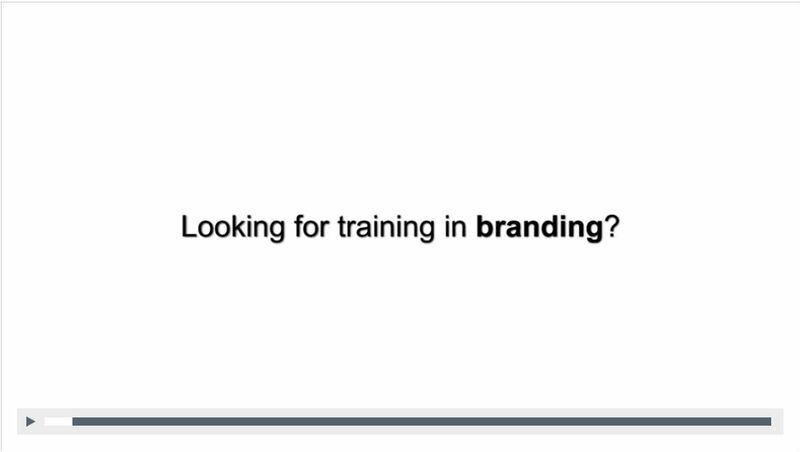 Searching for a branding training course? Train in a Day proudly presents this brand marketing training course that reveals the fundamentals of branding and brand strategy. Using recognisable brands you will understand how successful brands identify their brand values, identify opportunities and create branding strategies. Affordable yet delivering the secrets of brand marketing via experienced brand marketing trainers, this one-day brand training equips you to grow your brand. This brand marketing course is ideally suited to anyone wishing to build up their company’s branding and strengthen its brand identity. This brand training course is structured so that delegates receive a strong element of practical activities and exercises. This helps to reinforce the theoretical content, thus equipping learners with the fundamental knowledge of brand marketing along with an understanding of the application of brand management principles, empowering them to create effective branding campaigns. Of course, if a brand is promise of benefits rather than just a logo then the visual and physical evidence of the brand will only be part of the story. As a rule of thumb we actually only ever see one tenth of a brand. We can compare the character of a brand as being similar to an iceberg. At the surface we have those visible elements, which are the brand name, the logo design and, if it’s a product, the packaging. But rather like an iceberg, most of what is there we actually cannot see. Strong brands are successful because of the critical elements which are not instantly visible. These are characteristics such as reputation, customer service, availability, choice, reliability and many more brand promises. It is these characteristics which persuade us to purchase and remain loyal to one brand over another. In simple terms, it is the 9 tenths of the brand which cannot be seen which are the most important in driving revenue growth. This is where we should be focusing our time as a Brand Manager or Marketing Manager. Far too much time is spent deliberating over logos and design when, often, improvements to product deliverability and service would reap far greater rewards. Companies which realise this are more likely to gain success but it is a longer-term approach. As brand or marketing managers, it’s the comfortable option to deal with rebranding logos or packaging. And there is a place for such activities, but significant success comes from improving the 90% that can’t be seen – the brand promises. And this is a much longer-term approach, requiring cooperation with managers across departments, something which marketing managers have been blasé about in the past, and fundamentally a vision of the future which has gained ‘buy-in’ at the very highest level. Successful brand management is a far more difficult task than short-term design projects. Train in a Day have been delivering innovative brand training since 2004. Bringing the maximum brand marketing knowledge to your employees, this brand training course is high-impact and facilitated by training experts. More than delivering knowledge alone, brand experts facilitate your training, ensuring it is interactive and bursting with opportunities to further your skills and explore your unique challenges. Documented evidence of your attendance and completion of the course and 6 hours learning towards your CPD. Professional organisations such as the Chartered Institute of Marketing and Chartered Institute of Personnel & Development accept this learning towards your annual CPD requirement. All learners receive a certificate of completion at the end of the training day. We learn best in groups where there is interaction and engagement, so Train in a Day limit attendance to a maximum of 12 learners. This gives you engagement within a group, along with the personal attention you deserve. As a delegate on this course you will receive a detailed handbook including a copy of the presentation, activities to work through and apply your learning to, as well as the cheat sheets and mind maps described below. Train in a Day will provide a colour handbook for every learner, professionally printed, bound, and delivered to your premises as part of your brand management training. A handy reference document of the main learning points from your brand training day. A visual reference of the main points from your training course. 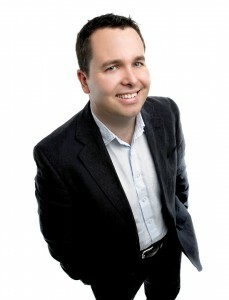 Your facilitator for this brand management training course is Carl Duncker, Chartered Marketing Consultant MCIM. Carl Duncker is a renowned brand marketing trainer, delivering brand marketing courses and brand training to business leaders, entrepreneurs and business managers. As a Chartered Marketer with the Chartered Institute of Marketing, with 15 years of marketing management experience within b2b, b2c and public sector organisations, Carl brings a valuable wealth of expertise to your brand training course in a friendly and welcoming style. Coupled with Carl’s impressive portfolio of self-written branding courses for marketing managers, it means that participating in a Train in a Day branding course is a rich, informative, and enjoyable experience. Our unique approach to enhancing your knowledge of branding principles starts with online video training. For those marketing professionals who would like to improve their branding skills we deliver the key techniques online. Going forward, we offer motivated learners the ability to develop their brand strategy with a Brand Marketing Workshop. A full 6 hours, your training day is hosted by an accredited brand marketing practitioner who will work with you to analyse and craft your branding strategy. Contact our brand training consultants and let’s see how we can work together to develop your branding marketing strategy and improve your brand. WANT MORE INFORMATION? CONTACT OUR BRAND TRAINING CONSULTANTS…. Hi, I’m interested in your Brand Training course. Hi Terry. Thanks for your enquiry. We work with teams on-site at a time convenient to you. Prices start at £1097.